In January 1978, after his third campaign for a position on San Francisco’s Board of Supervisors, 47 year old camera salesman Harvey Milk made history by becoming the first openly gay man to be elected to public office in America. Ten months later, having secured the city’s first gay rights ordinance, Harvey was shot and killed by fellow City Supervisor Dan White. Following an acclaimed performance in Melbourne earlier in 2015 as part of the Midsumma Festival, Left Bauer Productions (Playing Rock Hudson and Master Class) are thrilled to be joining forces with the Sydney Gay and Lesbian Choir to celebrate Harvey’s indelible legacy. 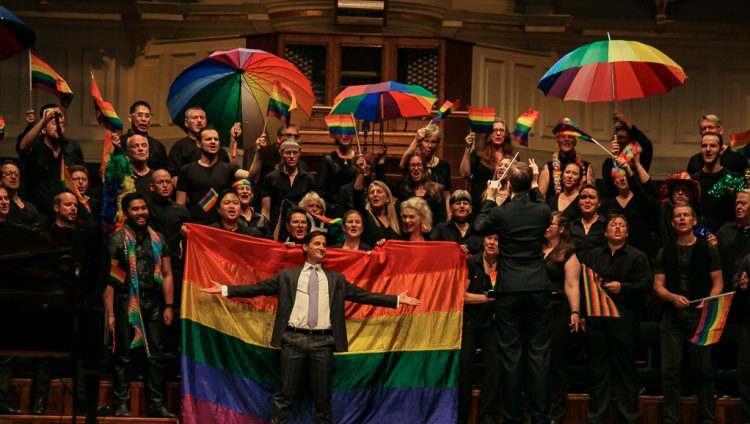 Harvey Milk: The opera in concert presents excerpts from Wallace and Korie’s opera, featuring a chorus of 60 and 5 of Australia’s finest music theatre and operatic talents.